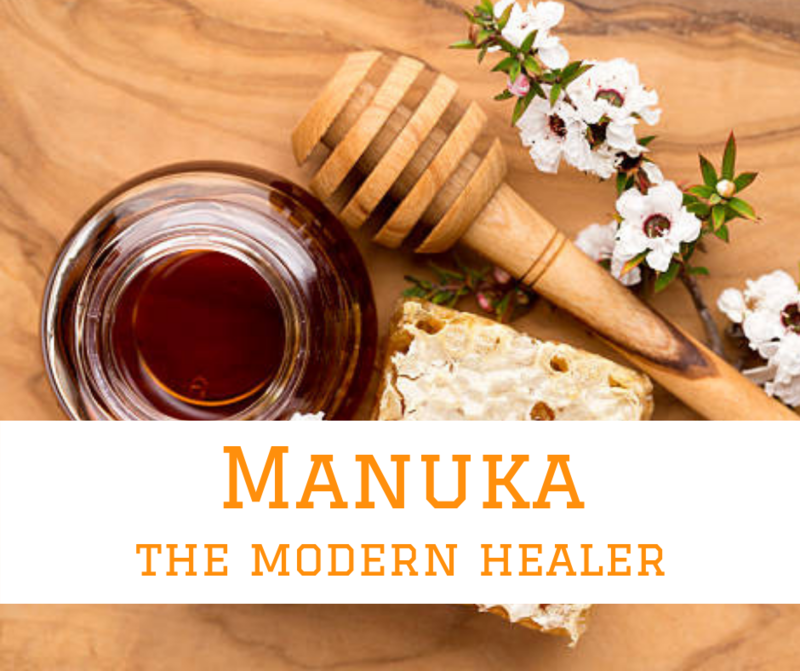 Manuka honey is a wonderful healing food that helps to support the immune system, boost nutrition, promote energy and well-being. It also improves wound healing, skin regeneration and can be used for ulcer treatment. During the 1980s Unique Manuka Factor (UMF) was discovered by a research team at Waikato University, in a New Zealand honey produced by bees that pollinate the ‘Manuka Bush’. They discovered that Manuka Honey containing UMF has higher levels of enzymes than regular honey. These enzymes create a natural hydrogen peroxide that works as an incredible antibacterial agent. The UMF rating is now used as an international gold standard indicating the medicinal quality of Manuka honey. Put 1 – 2 tablespoons of Manuka honey in half a mug of warm water with 1 teaspoon of apple cider vinegar and a squeeze of lemon – sip slowly. As soon as possible apply a layer of high UMF honey to the affected areas and cover with an adhesive bandage. Reapply the Manuka honey twice daily until the skin looks normal again. Choose a Manuka product with a UMF factor of 15+ and apply the honey directly onto the gums immediately after brushing. Take 1 teaspoon of the honey 20 minutes before meals and before bed time – you may like to take the honey dissolved in a small glass of warm water. Mix one tablespoon of the honey with milk of your choice before bedtime and drink. Mix 5 teaspoons or Manuka honey with 1 teaspoon of pink himalayan salt- mix these two ingredients together and store it in a glass jar. Put a little of this mixture under your tongue every night before you go to sleep letting it dissolve. Mix Manuka honey with a few drops of warm water and apply gently to acne prone areas – leave it for 15-20 minutes and rinse it off with water. Manuka Honey is a really great way to support your general nutrition and well-being because it is so rich in nutrients like amino acids, B vitamins and minerals. Manuka honey is up to 4 times richer in nutritional contents than normal honey flower! delicious benefits of Manuka honey, in-store and on sale now!